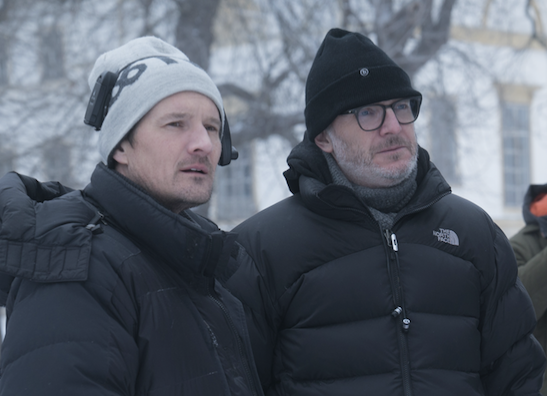 For the release of Red Sparrow we took the opportunity to chat with Jo Willems ASC, SBC about his work. This Belgian DP is known for his work on Hard Candy (David Slade, 2005), Limitless (Neil Burger, 2011), and three of the four Hunger Games films (Francis Lawrence, 2012-2015). 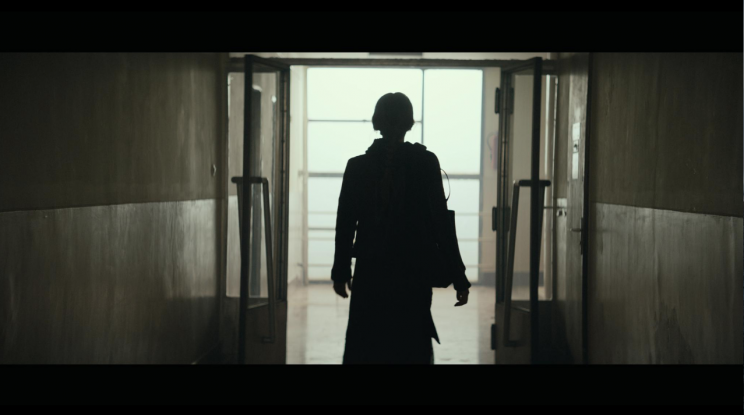 Synopsis: Ballerina Dominika Egorova is recruited to ‘Sparrow School’ a Russian intelligence service where she is forced to use her body as a weapon. But her first mission, targeting a CIA agent, threatens to unravel the security of both nations. JW : I was born in Belgium and grew up in Westerlo, a small village in ‘de Kempen’. I studied film at Sint Lukas in the late 80’s. I left before I started my third year and moved to London. I didn’t see enough opportunity of becoming a DP in Belgium at the time; not as many films were made then as there are now. I lived and worked in London for 8 years. The first paying jobs I got was as an electrician on movies, commercials and music videos. My first job as a cinematographer was shooting a short film/music video paid for by a band called Cable. I continued to work as an electrician for a little while, but after six months, I was shooting music videos full time. In those early days in music videos I met long time collaborator David Slade. We started working together in 1997 and still collaborate on projects today. My wife and I moved to Los Angeles in 2000. I found an agent and started shooting commercials and music videos. It was in my first year of being here I met Francis Lawrence. We were both working on music videos at the time. Shooting a few of the bigger videos I did got me established in Los Angeles. (POD, Alive; Justin Timberlake, Cry me A River). In 2003, I shot my first film with David Slade, Hard Candy, starring Ellen Page. The film got it’s premiere at the Sundance Film Festival and was sold and distributed by Lionsgate. And then you shot a lot of bigger productions, didn’t you ? JW: Well, it didn’t go that fast, but yes I ended up getting some good opportunities. My first studio film was 30 Days of Night. It was a horror film based on a graphic novel. It was David Slade who brought me on to film and fought hard for me to shoot it. I went from a 1 million dollar film to a $35 million film in a very short time because he wouldn’t work with anyone else. A few years later, I shot Limitless with Neil Burger. 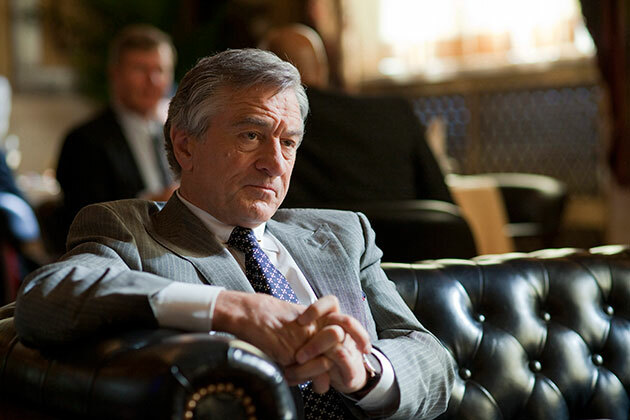 The lead cast was Robert de Niro and Bradley Cooper. I was on Hunger Games from 2012 to 2014. After that I took a couple of years off from films to spend time at home with my wife and two kids. I did a few pilots for tv shows but worked mostly on commercials. When Francis Lawrence called me to do Red Sparrow, a spy thriller set in Russia, I couldn’t resist. So it’s safe to say you already knew pretty well Francis Lawrence, the director, when you started this film ? JW: Yes, like I said, I started shooting with him in 2001 on some music videos. In 2011 we did a few tv pilots together as well. One was for the series Touch with Kiefer Sutherland. Then we shot the Hunger Games‘ films together, so yeah, we know each other for a long time. What is the story of Red Sparrow about in your opinion ? JW: It’s about a woman’s struggle to survive in a corrupt world. Her misfortune as a ballet dancer lands her in a world of abuse, deception and deceit. Can you tell me about your technical and artistic approach of the movie? JW: When I start to prepare for a film I always try to be as open-minded as possible and not have too many pre conceived ideas. I let things grow and develop over a long period of time. It’s not until we have picked all the locations, until I have seen ideas from production design, costumes, hair and make up tests, that I settle on a look. Of course, first of all, I am guided by the story and the world the story will live in. It’s not light material and felt there was an opportunity to explore that darkness. I also wanted it to feel real and authentic. I wanted it to be a naturalistic looking film and stay away from artifice. But I didn’t want to miss the opportunity to explore the ‘Spy Thriller’ genre. It’s not a documentary either. You have to try and take the audience on the journey of the character. Her story goes from being the lead ballerina at the Bolshoi to being exploited and become a spy for the Russian government. 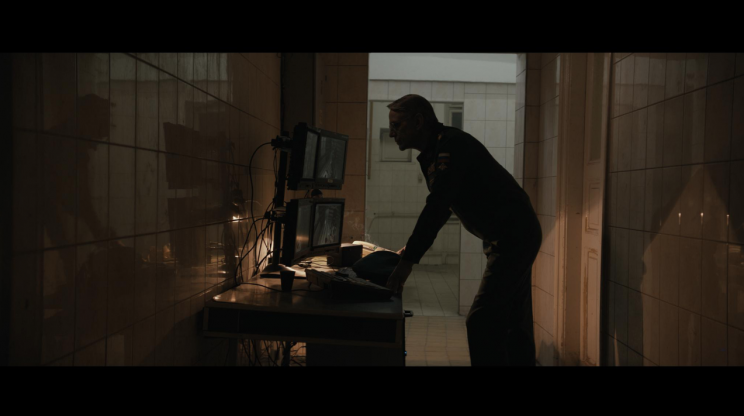 The story is set in Russia, but we shot mostly in Budapest. I would take photographs on our location scouts and would start playing with some color ideas in Adobe Lightroom. We didn’t build any sets, it was 100% location based. You have to adapt and be open to what is given to you. A lot of the time I start with what is already at a location. It just keeps things simple and keep the shooting process nimble. We were also very lucky with the weather. 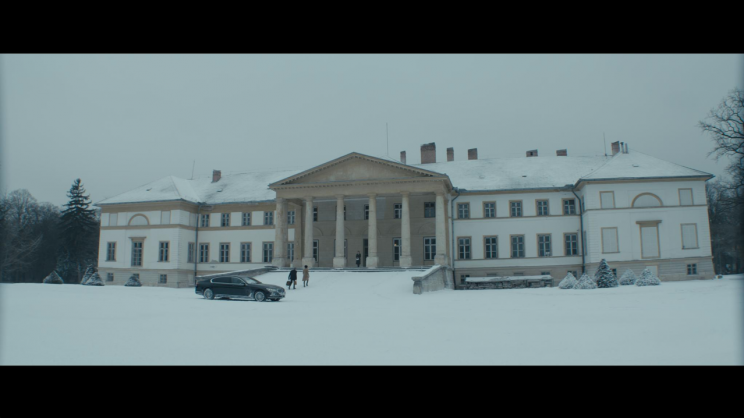 Most of our exteriors were overcast and it was incredibly cold; we maybe had two days of sunlight which was perfect for us, because it gave the film its soul, its “Eastern European during winter” look. I didn’t want the look to be too slick, meaning I didn’t want the blacks to be too crips and deep. I wanted darkness, but I wanted some velvety softness in the shadows. The one thing we knew from the start of prep was that we wanted the camera to be controlled, and we wanted the images to be graphic and symmetrical. We knew we did not want to shoot hand held. We wanted to shoot on wider lenses and let the people move in the space and make the environments an important part of the story. I wanted the lighting to be stylized, but at the same time, I didn’t want to be artificial or other-worldly. I wanted it to feel real in every situations that we were in. I didn’t always try and make things too pretty. I think that’s the Belgian in me making itself into the film. I don’t over-light things, I never want the image to look too theatrical, or call attention to itself. If it feels wrong and fake, I’ll change it. I work quite instinctual and I am not afraid to veer off the path I might have picked in prep. If I see something on set that feels better I’ll go for it. Any special difficulties that had to be solved for this shoot ? JW: There is always some scenes more difficult than others. In this case, it was mostly logistical issues of working on real locations. 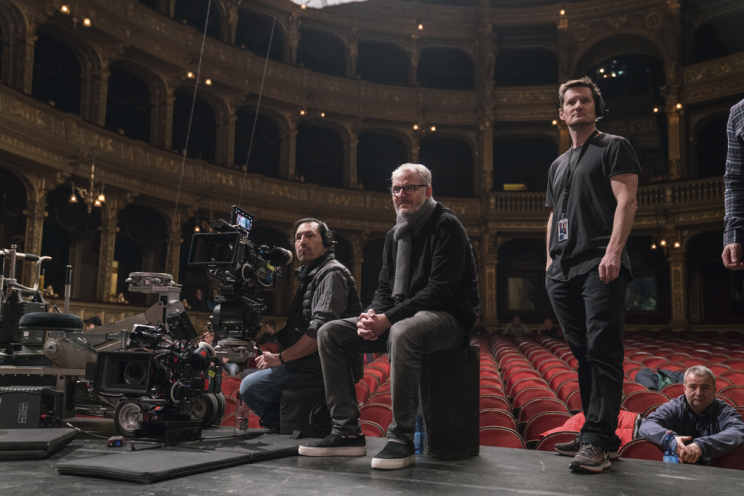 We shot one scene at the Opera, which was just logistically difficult : we had no access until the day we were shooting, we couldn’t really prepare anything. We went in at 2 in the morning and started shooting at 6 in the morning because later in the day the Opera had to set up for their next show with a real audience. We just had to get through it, and I think it’s one of the best scenes of the movie. I’m really pleased with it. The cold was tough at times too. But there is not much you can do about it except put more clothes on (Laughters). The good thing was, I worked with a team I had known for a long time. It was my fourth film with Francis, and I have known him for almost 2 decades, so I knew the process. That makes it easier. Everybody knowns their strength, everybody knowns their place, and it’s a well-oiled machine. JW: I was there three months before the shoot. I took a lot of photos and played around with color and contrast ideas. Also our production designer, Maria Djurkovic, had this wall in her office with maybe five hundred photos which showed her intentions regarding the colors, the locations, her set dressing etc. A lot of my lighting was a result of that wall. Making films is a collaborative experience. Everyone needs to be on the same page in terms of the tone of the film. JW: We shot for eighty-five days. We decided to shoot what they call “French hours” which means you shoot for ten hours a day, you don’t break for lunch, you eat as you work, and you are done after ten hours. The reason for not breaking for lunch is to keep the days short and to not slow the process down by going to lunch. 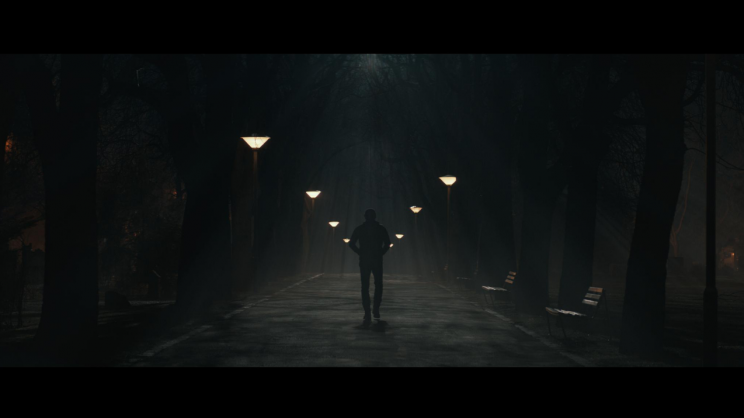 We also shot in the middle of winter in Budapest so I needed to maximize the daylight that was available to us. Did you only shoot in Budapest ? 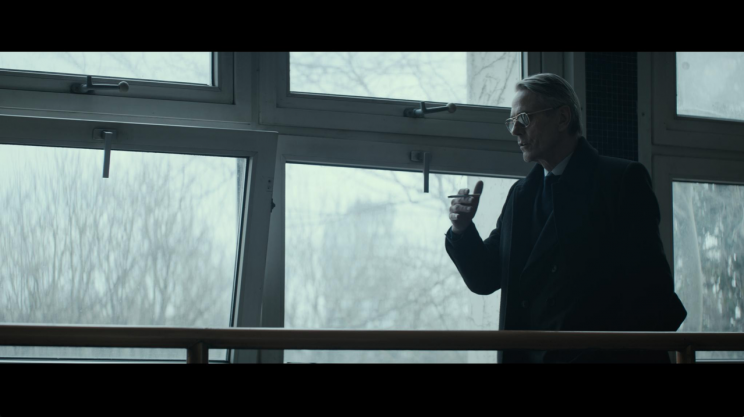 JW: No we shot also a little bit in Bratislava, one day in Vienna, and five days in London. 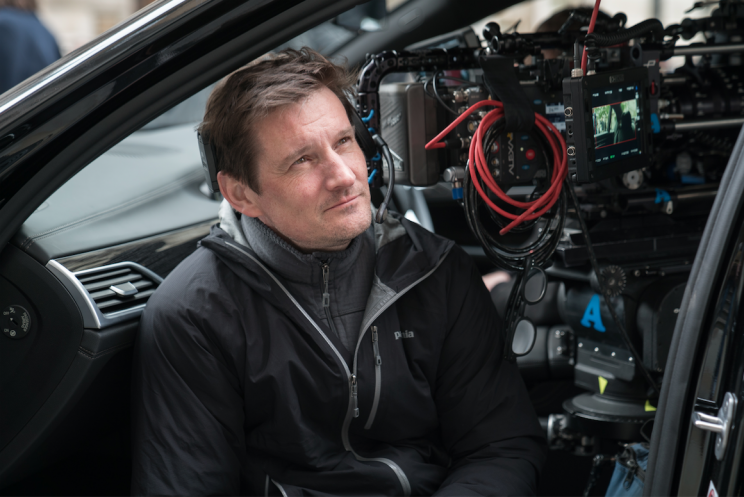 JW: We shot Arri Raw with the Alexa XT. 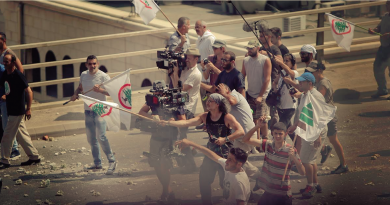 We used anamorphic Panavision lenses : mostly T series and E series. E series are older, T series were brand new. For some focal lengths, there was only one available in the whole world, so we felt lucky. We also had a 30mm C and a 25mm C. Most of the movie was shot using wider lenses, rather than longer lenses. The reason for using the wider palette of lenses was to achieve that graphic feel. We wanted to show Russia in it’s full glory and opulence whenever we could. These lenses come with some distortion, won’t you agree ? 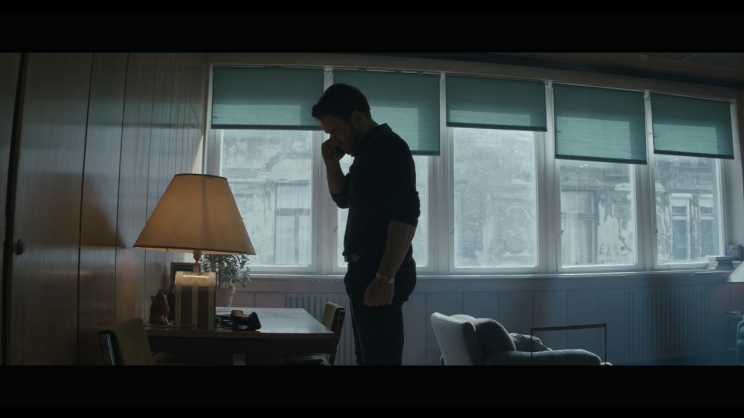 JW: Yes, anamorphic lenses always have some flaws, but it gives the image character. It’s not flat, it’s not perfect and has aberrations. It transforms faces, backgrounds etc. We really love the format. How was the lighting handled ? JW: It might not look that way, but I really tried on this movie, not to use too much lighting, to be led by the locations and to create a sense of realism. There was quite a few night exteriors where we just used available light. 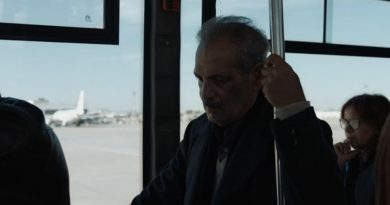 The film’s look is stylized, for sure, it’s not a documentary, but a lot of that has to do with composition and were the camera is placed in relationship to the light. There’s always contrast, because I always try to shoot with cross-light or back-light, with little frontal lighting. Francis really understands that process so we rarely disagree on where the camera goes. I also wanted to explore shooting with very soft, but still contrasty light. There are a few scenes between Dominica and Nate where I used LED panels covered in snow blanket. It is not really made to do that, but it gives this very intimate soft warm light. It’s some of my favorite scenes in the film. I love lighting faces. It’s fun shooting action and big set pieces, but I in the end it’s about people and their story. What kind of instrument did you use ? JW: If there is one instrument that I used intensively it would be the LiteMat by LiteGear. It’s a company here in LA that does only LED, and their equipment is great. I used to hate LED, but with the hight CRI values we can get skin tones look equally as good with LED as with tungsten. The LiteMats are very lightweight which was important for us, since we were shooting in real locations. We couldn’t rig or screw into walls of historic buildings, or come over set walls. We could just tape them to the ceiling with velcro, or attach them to any metal pipe we could find. Also they are incredibly soft and have the right size. Since they have come out, they changed the way I light, faces in particular. We also used Sky-panels, and regular HMIs for some exteriors. I also have a close relationship with the set dressers and art director to get me plenty of lamps in shot so I can motivate my lighting from them. How was the framing handled? Did you frame yourself ? JW: No. I had two operators: A camera and steadicam operator was Dave Thompson, SOC, and a local operator, Imre Juhazh, who framed the B camera. Whenever I work on a project of this size, I prefer to focus on the lighting and keep the process going faster. I have shot eight movies with Dave Thompson and we work really well together. He has a great eye and is technically meticulous and precise which is what this film needed. It makes everything go a bit faster. Also when you have two cameras, I like to watch both of the frames while we shoot and if I were to operate the A camera, I can’t see what the B cam is doing. Finally, it’s another eye, another perspective. I appreciate the opinion of the people I have worked with for years. How about grip equipment? Since your main operator was also Steadicam operator I suppose you did a lot of Steadicam shots ? JW: We didn’t do a tonne of it, but a reasonable amount. Dave started using a tool called “The Wave 1” by Betz-Tools that sits between the camera and the Steadicam rig. It stabilizes the horizon which was something I always disliked about Steadicam. 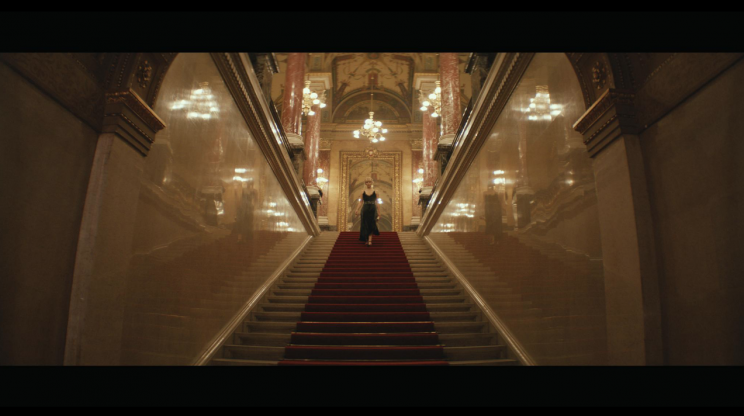 There is one very expansive Steadicam sequence, but other than that, it’s just small pieces. Most of the film is shot on dolly and tracks. We did some crane shots and a few drone shots. For the motorbike chase, we use a mini Flight-head, that we attached to a motorbike and used as a wireless device. That allowed us to zig zag though the traffic. How did the work with the actors go? You already knew Jennifer Lawrence, what about the others ? JW: Yes, it was my fourth film with Jen. It’s important to have a trust between actor and DP. She likes my lighting.When she needs to look good, I make efforts to achieve that. I try to make the environment for the actors as easy as possible. I don’t crowd them with a lot of equipment. I don’t ask them to look in certain places or stand in certain spots. We will put marks down, but they have usually nothing to do with lighting but with framing. I also work with stand-ins to light and set up the shots. I want the actors to concentrate on the performance. 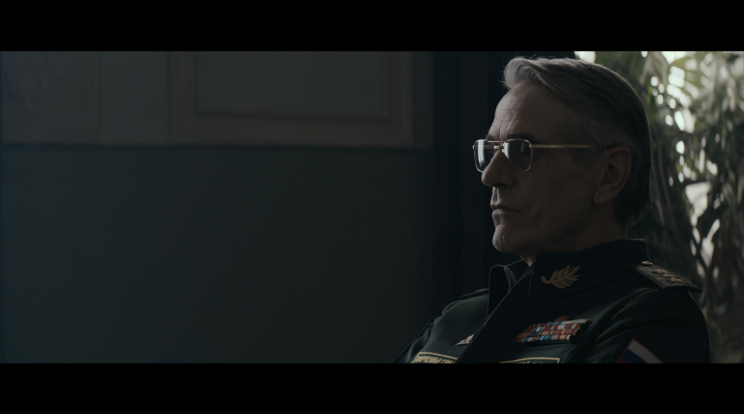 I had never worked with Jeremy Irons, it was great to meet him. I have always been a fan of Cierán Hinds and Charlotte Rampling, great actors. I also enjoyed working with Matthias Schoenaerts, a fellow compatriot. It was fun to speak some Flemish on set and nobody could understand us. Thekla Reuten, dutch actress was lovely as well, another person to chat some flemish with. Everybody was really nice, there were no dramas. The director is a real gentleman and creates a nice atmosphere on set. JW: Jennifer has her own people for hair and makeup, but if I feel something is not right, I will always share my thoughts with them. As a DP you have to look for everything that appears on the screen. You have a responsibility to mention things that could be problematic in the future. I had good relationships with everybody. Coming to a movie set with a lot of ego, is not the way I work. I spent eight months of my life in Budapest with this crew and I try and get on with everyone. I am demanding of my own team, but I think diplomacy is always the best way. I hear on some movies there is a lot of drama off screen. I just wouldn’t like to work that way. Life is too short. Did you bing all your crew from LA with you ? JW: No I had a lot of local crew. I only brought my gaffer, Walter Bithell, my camera operator, David J. Thompson and my focus puller, Trevor Loomis. The production designer was from UK, and she brought some people with her. The key grip, Istvan Torok (nickname “Pisti”) was local. He did an amazing job. How did you handle the post production of the film ? JW: Everything was done here in LA, at Company 3. I worked with a colorist with whom I had never done a movie before, but we did a lot of music videos and TV together, and Francis had worked with him also. His name is Dave Hussey. He did a great job. Did you use LUTs ? JW: Yes. Before the shoot Dave and I made a specific LUT for the movie. I wanted it to have good contrast with deep blacks, but also for it to have a soft velvety feel. Did you have a DIT ? JW: Yes, he is an important part of my process actually, because I do all the coloring on set with him. That is also one of the reasons why I don’t operate on this kind of film. On this shoot it was Dániel Farkas. For every shot we store a reference photo which makes everything go faster in post. Having good dailies makes a big difference in the edit and it also makes a difference for screenings before the final edit is done. Color add a tone and a dramatic content to an image. Colors have emotions. I think the movie will be finished in Imax. What is the main difference with a regular postproduction chain ? JW: Yes, there will be two IMAX versions, one for Laser and one for the conventional Xenon bulb. There will also be a Dolby vision version and their laser projector. The blacks are very dense but still have a lot of detail, same for the high-lights, lots of detail. Most of the time coloring is done for the regular 2k Version which is what most people will see. I watch all the other versions to make sure nothing stands out and it’s similar to the original version. Do you know the budget of the movie ? Did you use any specific, expensive or rare equipment ? JW: I don’t know actually. I think the number the studio made public is 69 million dollars. I don’t think we used any rare equipment, we used camera-sliders a lot. I was lucky to use T series lenses; the series was not finished yet, but Dan Sasaki at Panavision Woodland Hills gave us the one’s he had. I wanted to use modern lenses. This is a contemporary movie and I didn’t want it to feel nostalgic or period by using old glass. I made a LUT with some softness in it, but I used lenses that were sharp. How do you feel about the result ? JW: I am really happy with the result. It is stylized and at times it feels polished, but it still feels natural with some grit to it. It’s not too slick. I wanted the lighting to be honest and ‘light’ her story, find the mood of the film within her character. I never wanted it to feel artificial or fake, and I think we achieved that.